What is Angelica Oil ? 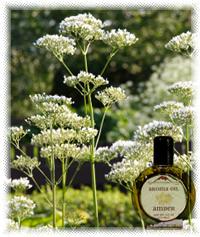 Angelica Root Oil, dark brown in color, has a pungent, herbaceous, long lasting fragrance that often serves as a fixative. The extraction process is arrived by obtaining Angelica balsam from the roots with alcohol, then evaporating and extracting the residue. It is less well known than many other oils, but could be an important one to those who need a strong root oil to lift depression and achieve emotional balance. 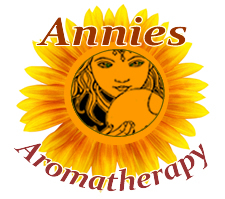 Use angelica with other stimulant and tonic essential oils, such as jasmine in baths and foot massages. Angelica is known to stimulate digestion, help dispel gas and calm the nerves. Since the oil warms the system, it is especially helpful by using in an abdominal massage blend when bloating or cramps are present. Angelica is also good to add to treatments for colds, congestion and fevers. Angelica blends well with patchouli, vetiver, clary sage, basil, lavender, lemon, and other citrus oils. Use it in a massage blend or combine it with one of the citrus oils in an aroma lamp to lift the spirits. Because of its coumarin content, it may interfere with anticoagulant drugs. Angelica should not be used by pregnant women. The entire plant is used, roots, stems, fruit and leaves, but the resinous root is the part used most often in herbal medicine. Botanical Information - Rituals & History : The angelica plant grows up to six feet tall and is quite impressive. It has a strong, deep root system and the plant produces pale greenish flowers.